Here is the collection of nonfiction pieces that John Updike was compiling when he died in January 2009. It opens with a self-portrait of the writer in winter, a Prospero who, though he fears his most dazzling performances are behind him, reveals himself in every sentence to be in deep conversation with the sources of his magic. It concludes with a moving meditation on a world without religion, without art, and on the difficulties of faith in a disbelieving age. In between are pieces on Peanuts, Mars, and the songs of Cole Porter, a pageant of scenes from early Massachusetts, and a good deal of Updikean table talk. At the heart of the volume are dozens of book reviews from The New Yorker and illustrated art writings from The New York Review of Books. 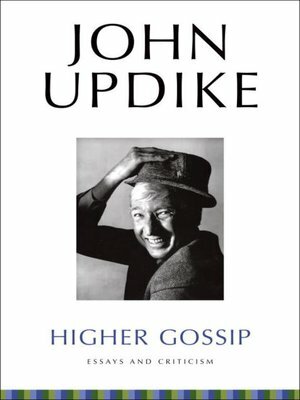 Updike's criticism is gossip of the highest sort. We will not hear the likes of it again.